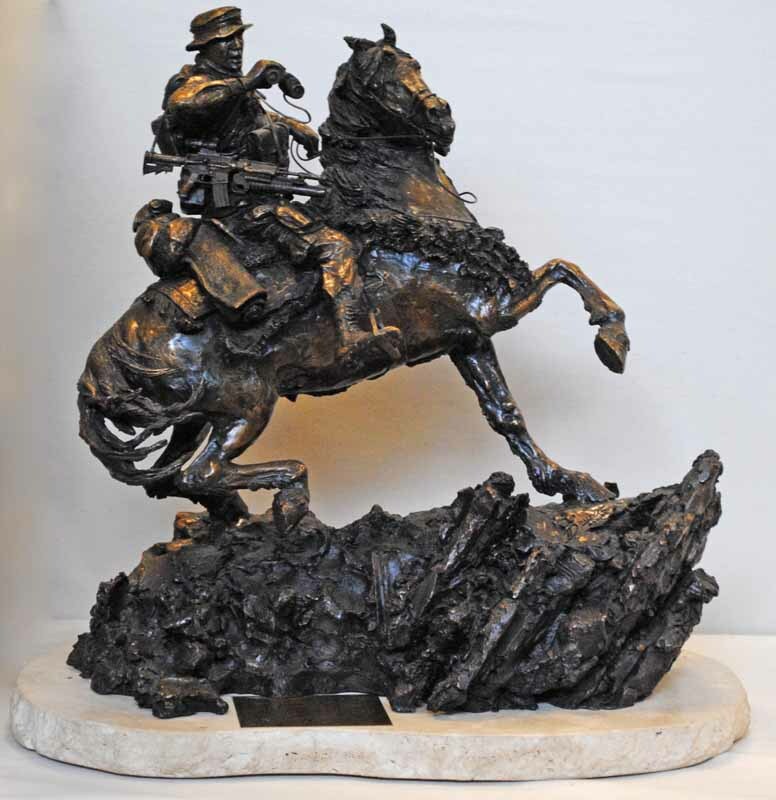 he accompanying plaque reads, “This Bronze statuette of a Special Forces soldier on horseback in Afghanistan during Operation: Enduring Freedom was donated to the college by Mr. Landon Rowland of Kansas City in 2004.” Operation: Enduring Freedom was the term used to initially describe the United States Armed Forces’ incursion into Afghanistan in the wake of 9/11. The Kentucky-based artist, Douwe Blumberg, created the statuette displayed here. Blumberg’s style is characteristic of Classical sculpture encouraging movement of form balanced by reflection of subject matter. The soldier on horseback is represented in full motion and poised for looking into the distance. The horse looks in the same direction as its master, rearing slightly as it crosses the rocky terrain. The statuette reveals an elegance matched with steadfastness. Landon Rowland was a valued member of the Kansas City area. Being a friend to the College as well as to the arts. 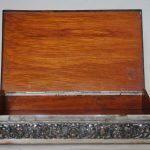 He was one of the founding trustees of the CGSC Foundation.